Keenness, persistence, diligence, and a positive attitude are some of the attributes that come to mind when describing Nick Scrima. 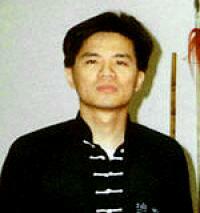 He has been an excellent teacher and student of the Chinese martial arts. His dedication and pursuit of high standards are well respected by his students and peers. His outstanding accomplishments set a new watermark for others to strive for. His contribution to the Chinese Martial Arts in America speaks for itself.